At one level depression always suggests one thing – that the energy that was once available has departed. Our work is to find out where it went. Depression is such a debilitating form of suffering because we live in a culture focused on doing, and we get bombarded with advice on how to eat, live, and act. But the answer is not to approach it from without, but from within. Learning to follow where the energy has gone can teach us where we, too, need to go. It can lead us to find that place that still burns bright somewhere within, perhaps calling us to a new venture, or an old one still yearning to be completed. 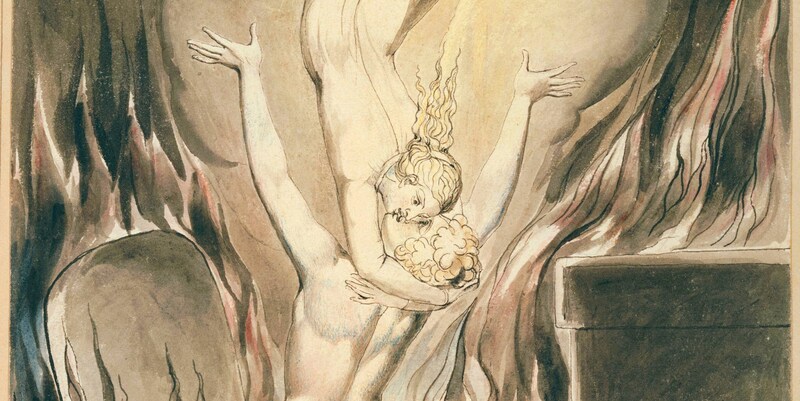 Another way to express this idea is as William Blake did, through the metaphor of the soul returning to the body. Even though the house they are in is still in flames, the energy of their embrace is both joyful and inspiring.